I’ve been a professional wedding planner and have been coordinating Hawaii destination weddings since 1985. I love working with couples at such a special, joyous time in their lives, and strive to make the process of planning your wedding an easy, enjoyable, and relaxing experience. 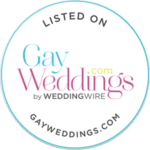 I will share with you my wealth of information, providing you with all of your options, and then assist you in making the choices for your Maui wedding that best suit your budget and wishes. Maui Weddings From The Heart specializes in simple weddings on the beach. I will recommend the beach that is best for you based on convenience or privacy, depending on what is most important to you. All of our ministers, or wedding officiants, present your ceremony in a heartfelt, sincere, and genuine manner. They will put you right at ease so you can relax and enjoy your ceremony. All of our professional vendors have been working together as a team for many years, so you can rest assured that you will be in competent and friendly hands. Our entire wedding team will make your Maui wedding an enjoyable and memorable experience. Contact us today to begin planning your Maui wedding!